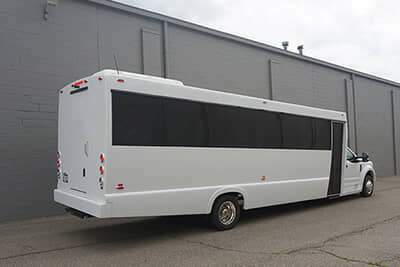 Finally, our largest bus and also the one with quite possibly the most elegant appearance. 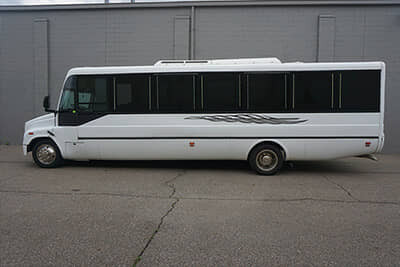 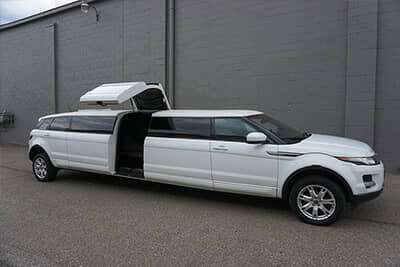 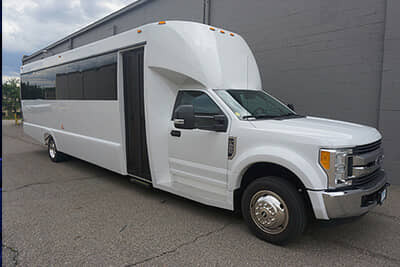 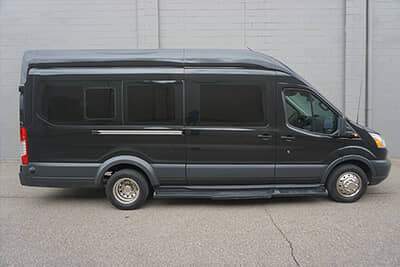 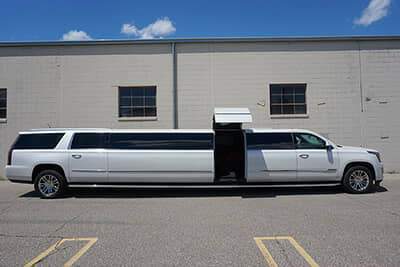 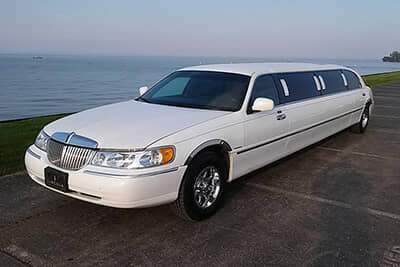 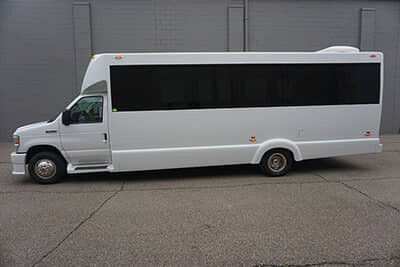 You can fit 35 guests in this massive party bus, and you'll enjoy comfort with the spacious seating, even when packed full! 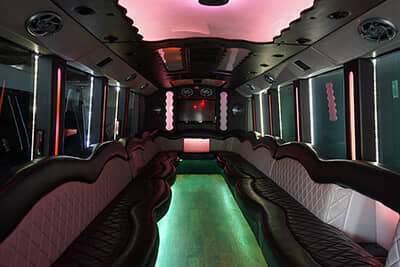 This bus has several TVs, a DVD player, gorgeous lighting, and is even able to connect to your Bluetooth device so you can stream music! 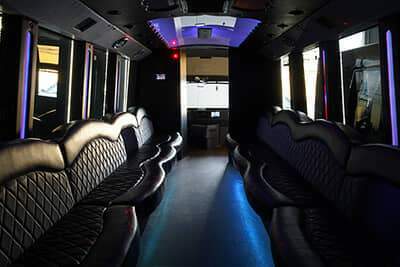 To get your questions answered or to make your reservation, give us a call!